Teachers, welcome to the ultimate field trip! 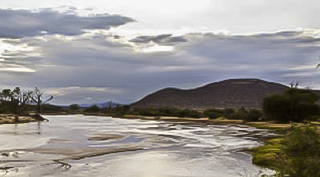 For this journey, your students can experience the sights and sounds of lively river bend in Kenya right in their own classroom. Sit—virtually—next to a pool of water where hippos wade and elephants, monkeys, zebras and giraffes all come by for a cool drink. Coming Soon: Interact directly with other classrooms, students, and teachers. We will notify you as new features are added. 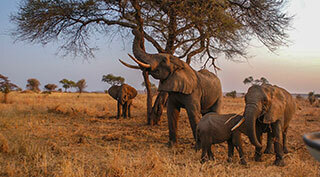 Explore the African wilds with your students while helping them discover their relationship to another world. Find here lesson plans and classroom activities created by qualified educators, reviewed by scientists and field researchers, and adaptable to grades 3 - 8. The U.S. plans conform to national standards. 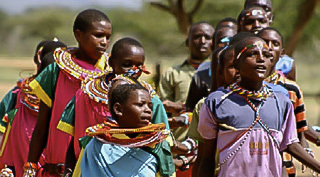 The Kenya curriculum helps students connect with their environment. Teachers, we want your feedback and suggestions! A work in progress, our living CLASSROOM is a growing platform for conservation education. 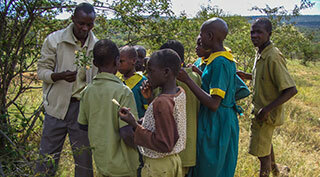 Contact us at mpalalive@mpalalive.org or post your comments on the discussion boards throughout the lesson plans. 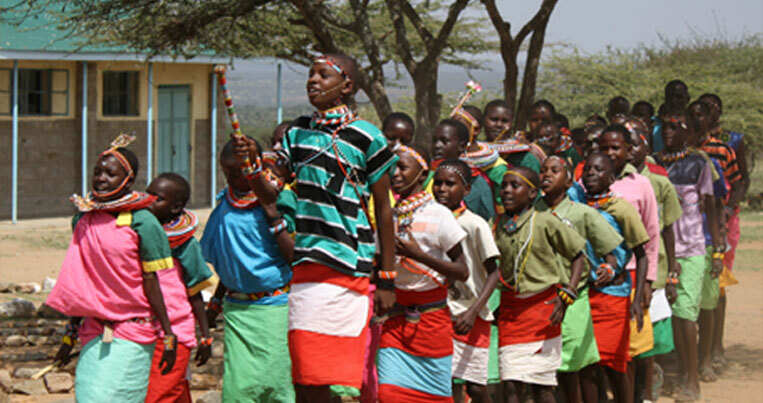 This collection of lessons and projects is designed to help Samburu and Laikipia Maasai children understand the connections between their environment, the wildlife around them, and their lives. How important are other living things on our planet? 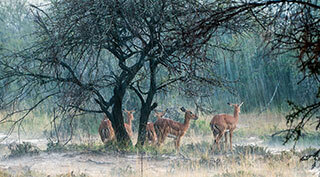 Observe, learn about, and appreciate connections between the plants, animals, and people that share the land. Help students understand how human activity can affect the balance created among all living things. The lessons in this guide are designed to help students understand how they are connected to the natural world and learn how people impact their environment and the wildlife that lives there. 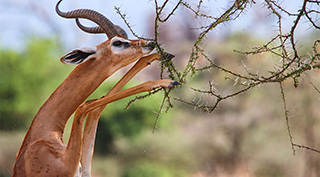 Help students learn about the natural world around them through careful observation, classification, and identification of the animals in their environment. Help students learn how to identify and classify plants and to understand why plants are important to people and animals. Help students understand ecosystems and the ways in which plants and animals live and interact with each other and their environment. Help students learn that all parts of an ecosystem are connected and that when one part is changed, it affects the entire system. How does each kind of animal adapt its behavior to survive? This unit explores how animals differ in what they eat, their patterns of movements, and how they communicate and interact with each other. Students will learn how animals are grouped together for classification. 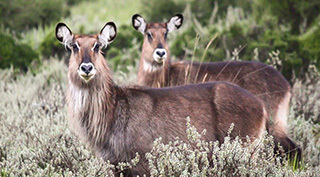 Students will learn about mammals and how they adapt to their environment. 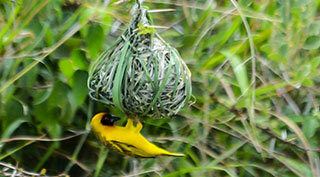 Students will learn about birds and how they adapt to their environment. Students will learn the difference between amphibians and reptiles, the concept of warm-blooded vs. cold-blooded, what metamorphosis is, and how these animals adapt. Students will learn about insects and how certain adaptations help them cope with their environment. Students will learn how animals spend their time--and how to complete a census, an ethogram, and a time budget. How do animals interact with the world? Learn how all animals—both wild and domestic—can be classified, and understand how each species adapts to its environment in order to survive. How does each part of a plant contribute to sustaining life on Earth? This unit explores how plants are crucial players in all living systems on the planet. What role do plants play in the world? Learn how plants of various kinds interact with animals, how they use the sun to live and grow, how they reproduce, and how they can be classified. Students will learn the parts that make up a plant, how each part functions, and how they come together to give plants a unique and crucial role in the ecosystem. Students will learn what pollination is, how it works, why most plants use it to reproduce, and how animals help plants pollinate. Students will learn why plants spread such a variety of seeds and how each kind can be spread with the help of weather or animals. Students learn how plants are named and organized into categories, how grasses differ from trees or shrubs, and how the parts of plants influence the way they are classified. How do Earth's major systems affect life on the planet? Learn the different phases of the water cycle and the roles of the wind, sun, and rain. Students will learn about the water cycle and how to conserve Earth's freshwater. Students will learn why wind is important to the planet. Students will learn how the sun affects plants and animals. Student will learn how essential water is and how it affects Earth. Students will learn how water, wind, sun, and rain work around and on plants and animals, and how humans can affect the delicate balance of each in understanding, using, and conserving their forces. Students will understand the true complexity of the water cycle and humanity’s relationship with it, while gaining awareness of how little of Earth’s water we can use and how we can conserve it. Students will learn about the nature of wind, its causes and powerful capabilities, how it affects plants and animals, and how humans use it. Students will understand the sun as a powerful and mysterious force by examining the ways animals interact with it and by studying human mythology surrounding it. Students will analyze how rain interacts with the surface of the ground, and how interactions among humans, plants, and the surface of the ground determine water quality and runoff. 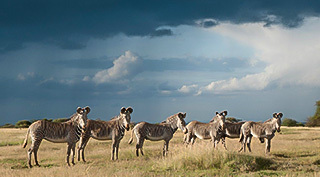 What is special about Africa’s grasslands? Students will learn how each grass part works and contributes to life-sustaining properties that support people, their livestock, and wildlife. Students will learn about each grass part and what each one does. Students will learn what helps grasses grow, and what prevents grasses from growing. Lesson 3: Who Eats Grasses? Students will learn how different animals adapt to their environments. Student will learn about food chains and how all nature is connected. Student will learn how livestock and wildlife compete for the same resources. How are all forms of life interconnected in ecosystems? 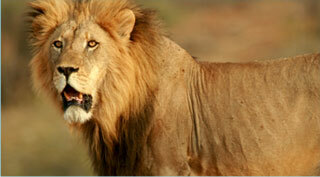 Students will learn about food chains, plant and animal interactions, energy transfer, and human actions in the wild.